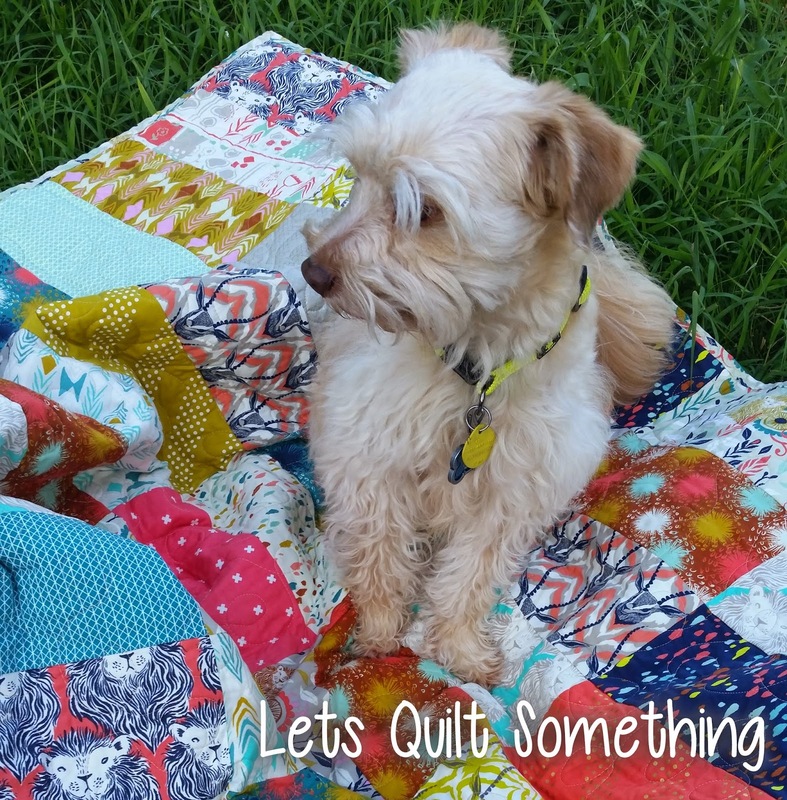 Here is another fast easy quilt that you can finish within a day. 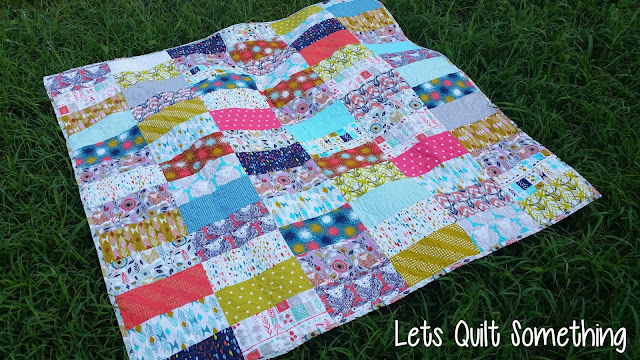 Only using one layer cake this quilt will come out looking scrappy! 1. With your layer cake squares you are going to cut them in half horizontally, now you will have 5" x 10" rectangles. 2. 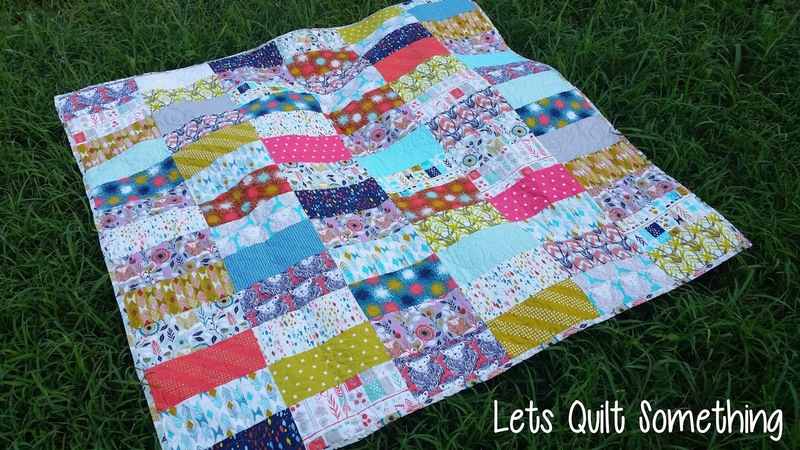 Mix up your rectangles and lay them out with 6 across, 13 rows down. 3. 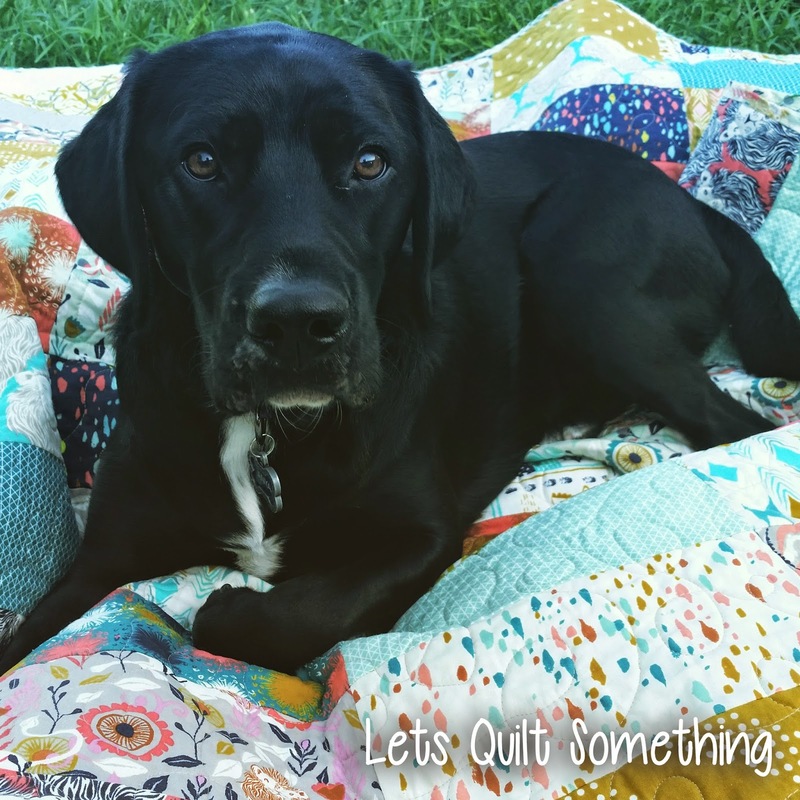 Just quilt, bind and your done! While taking photos of my finished quilt my lovely babies wanted to help. Here are some extra photos I took while we where outside.